Example showing canvas photo prints in size 40x60cm on walls. Beautiful images on a computer screen are nice to look at, but they don’t even begin to touch the feel-good factor of large-format prints of the same images. If you like my bird- and nature shots you’ll absolutely love them in print – promise! 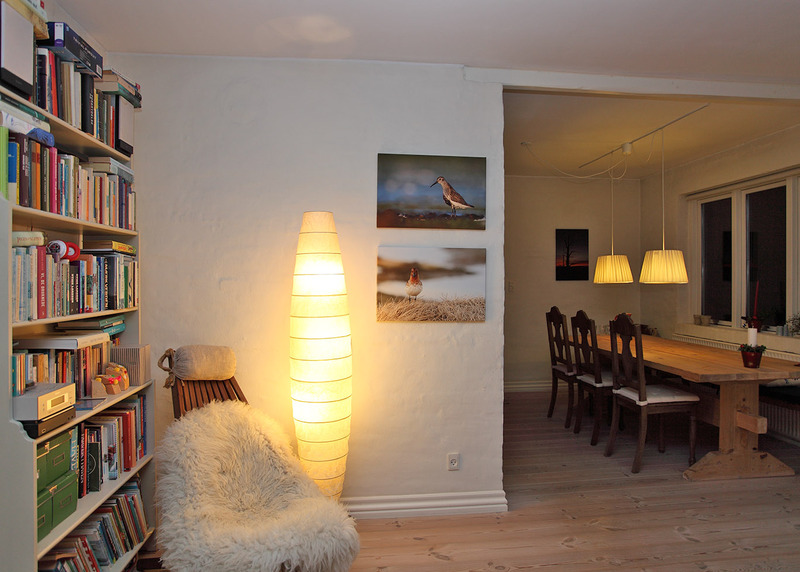 Click on the image above to see an example from our own living room – and the two sandpipers on the wall don’t even complement each other so well. The prints can be ordered in just about any format and finish; posters, photo canvas, aludibond, acrylic glass and gallery prints, and sent to your home or company address with a full EU VAT invoice. If ordering for commercial use from within the EU please remember to provide your EU VAT number. Just pick out the image(s) you like, note its name and send me an email, and I’ll send you a quote including shipping to your chosen address. I look forward to hearing from you!